Goodie bags or shall I say boxes, are always a treat when attending parties, weddings or simple gatherings. 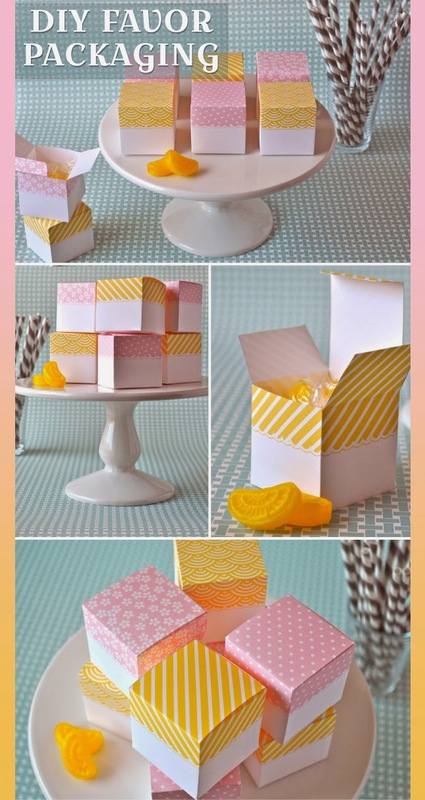 Using card stock, an x-acto knife, tape, and a colour printer... you'll be able to create these adorable party favor boxes. Then, it's up to you to fill them! Once your boxes are ready, place your goodies inside! What would YOU fill your box with?